Are you looking for the perfect picture frame for a photograph, a poster, a piece of fine art, a diploma, or something else that you want framed? 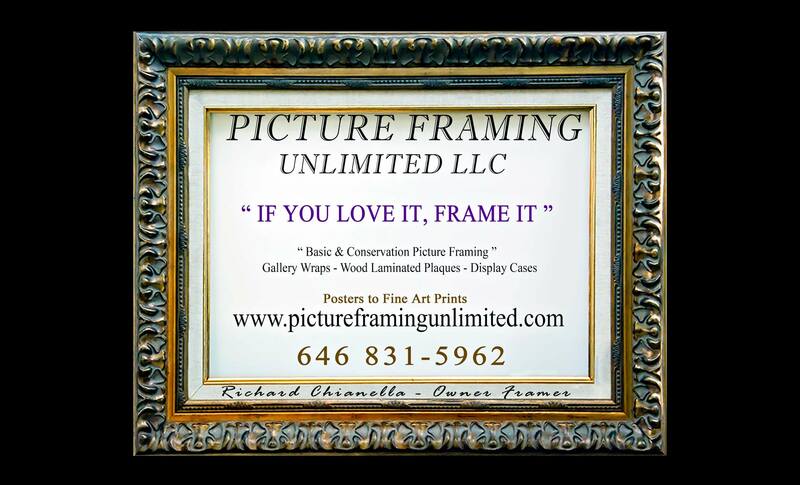 Picture Framing Unlimited LLC can provide you with the best custom picture framing and digital photography in Dutchess Ulster, Columbia, Rhinebeck and Greene County, NY. For more than 15 years, we’ve been providing superior framing services for those searching for the right custom frames. At Picture Framing Unlimited LLC, we use only the finest materials when creating the best custom frame designs for our clients. While providing you with custom picture framing and digital photography we can show you a large selection of beautiful wood and metal frames in addition to a wide array of 4ply to 8ply matboard. We carry everything from acid free matboard, conservation select matboard, and museum grade rag matboard to fabric matboard, decorative matboard, and suede matboard for those doing custom frame design. Picture Framing Unlimited LLC can also help you pick out glass while assisting you with custom picture framing and digital photography. We keep regular glass in stock along with non-glare and UV protection glass. Additionally, we have regular, non-glare, and UV plexiglass available for anyone who wants to go that route. We often recommend using lightweight plexiglass as opposed to regular glass for larger pieces of artwork since it makes our custom frames significantly lighter. Outside of setting you up with custom picture framing and digital photography in Dutchess Ulster, Columbia, Rhinebeck and Greene County, NY, Picture Framing Unlimited LLC offers photography and Photoshop classes. Call us at 646-831-5962 today to obtain any of our services.